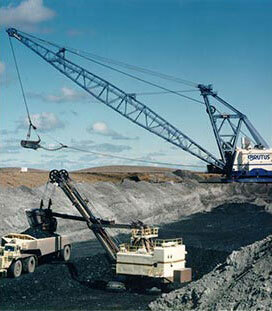 Established in 2012, the CAC Award of Distinction program recognizes excellence in Canada’s coal industry. Through the award, the CAC shines a spotlight on deserving individuals who have demonstrated exceptional accomplishments in the coal industry in Canada. To be eligible for the Award of Distinction, the recipient should make a positive contribution to Canada’s coal industry either past or present. 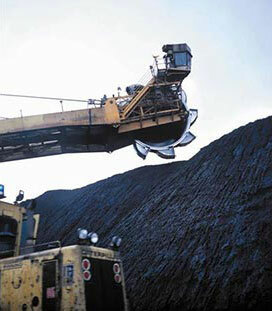 The coal industry includes the full coal transportation chain (terminal, port, railway), industrial coal consumers (power utilities and cement manufacturing), and a myriad of suppliers of goods and services that support the industry. Consider someone who has demonstrated leadership, innovation, commitment to safety, productivity, or excellence in human resources or management. Nominating someone for the CAC Award of Distinction is easy. You don’t need to be a member of the Coal Association of Canada to nominate someone for the award or to receive the award. To submit a nomination, click below and fill out the nomination form. The deadline for nominations is March 29, 2019. The 2019 Award of Distinction will be bestowed at the CAC Awards Reception on October 9, 2019 at the Westin Bayshore Vancouver. Mr. Blake, Senior Manager of Ridley Terminals, is being recognized for his dedication, knowledge and advancement of the coal industry in Canada. From the coalmine to the end customer, Mr. Blake is known as man with integrity and appreciation for the entire coal chain. Throughout his 35-year career with Ridley Terminals, Mr. Blake has developed a deep and broad understanding of the Canadian coal sector. He worked at Ridley Terminals when the first lump of coal was moved off the train and into the cargo vessel in 1984 and moved his way into senior management. He has been a part of and responsible for many milestones and accomplishments including multimillion dollar facility upgrades, efficiency improvements and helping Ridley reach their impressive achievement of shipping 200 million tonnes of coal, which will be accomplished this year. Mr. Blake’s contributions to the coal chain and helping improve how Canada is able to get our valuable resource to market are something to be recognized and the Coal Association of Canada is thrilled to be able to present this award to him. Dr. Leeder is being recognized for his research and advocacy contributing to the coal industry. Throughout his career, Dr. Leeder has worked to develop better International Standards for Canadian coals. In his work with CANMET, Dr. Leeder’s research established the value of Canadian coal, which improved international trade, and contributed to the growth and development of Canada’s metallurgical coal trade. He has been a member of the Canadian Carbonization Research Association (CCRA) for over 40 years and has served as Chairman of their Technical Committee and their Board of Directors. He has authored numerous reports, publications and presentations over his career, always emphasizing the technical merits of Canadian coals. Dr. Leeder is highly regarded around the world for his expertise in all technical aspects of coal including exploration, mining, processing, transportation, storage, and utilization. He worked with many coal mining companies in western Canada on all aspects of mining, processing and beneficiation technologies, but specifically to improve technologies to upgrade Canadian coals. Over the past 30 years, Dr. Leeder has worked for several coal companies, always championing Canadian coals in the International market place. On June 10, 2016, Madeleina Suska will be receiving the Award of Distinction, the Coal Association of Canada’s highest honour. Madeleina Suska graduated with a Bachelor of Science from the University of London. Starting in the oil and gas industry as a sedimentary geologist with many successful discoveries and predictions, Madeleine moved on to field exploration and mapping, later completing her Master of Science in Geology at the University of Alberta. Suska took months-long horseback expeditions into the unmapped and unexplored lands of northeastern British Columbia and the eastern slopes of Alberta. She discovered and mapped major coal fields in BC and Alberta. 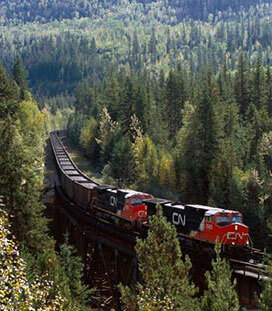 These discoveries led to decades of further exploration and development, and most notably mining of the Northeast British Columbia Coal Block, including the Tumbler Ridge area. On September 17, 2015, David Fawcett received the Award of Distinction, the Coal Association of Canada’s highest honour. On September 11, 2014, Boyd Payne received the Award of Distinction, the Coal Association of Canada’s highest honour. Mr. Payne started his career in the coal business in 1974 in a technical capacity and eventually transitioned into operations, business development and marketing. He worked in a variety of leadership roles in Canada and abroad, including Vice President Marketing with Fording Coal, President and CEO of Elk Valley Coal Partnership, President, Fording Canadian Coal Trust, President and CEO of Teck Coal Limited and Senior Vice President, Coal with Teck Cominco Limited. He was also Vice President Marketing, Metallurgical Coal for BHP Billiton, based in Singapore. My. Payne retired from full-time employment in 2011. Never one to sit tight for too long, he is now the President of Black Eagle Mining, a late stage coal exploration company based in Vancouver. He also serves on the Board of Directors of Dingo, an Australian/U.S. 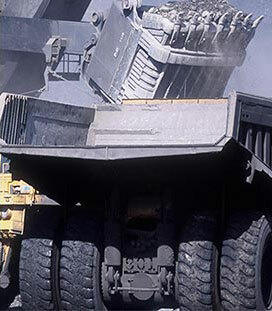 based company dedicated to helping the mining industry implement predictive maintenance programs that drive increased operational efficiency. 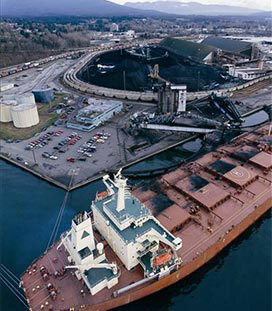 Robert H. Stan, the recipient of the 2013 CAC Award of Distinction, is a leader in the coal industry. Throughout his 30 year career in the Canadian coal industry, Bob Stan has demonstrated a strong passion and commitment to the Canadian coal industry. He is most known as the Founder, President and CEO of Grande Cache Coal, however for those in the coal industry, he’s a people-focused executive with an in-depth knowledge and understanding of the coal business. Over the years, Mr. Stan worked in a variety of marketing and managerial positions with several coal companies, including Fording Coal, Teck Resources, Weststar Mining, and Smoky River Coal Limited. Mr. Stan is a long standing champion of coal and the benefits it brings to our economy and society, so it’s fitting he is the recipient of the very first Award of Distinction.